No Secrets in the Spiritual World! 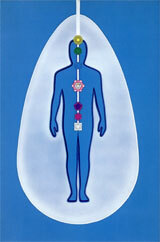 The human aura, also known as the spiritual aura, is energy emanating from the spinal column. The energy comes from the combination of body, soul and mind working together in a person. Everything that you are, that you have done, and even that you could do is all beamed out in your spiritual forcefield. It might help to think of a magnet. A magnet has an energy field around it that allows nearby objects containing iron to be pulled towards it. You can feel the power of this energy field when you try to pull apart two magnets that are stuck together (attracted). You can also feel the repelling action as a magnet pushes away the same end (pole) of another magnet. The human aura is sometimes called the body's magnetic forcefield because it has similar attracting and repelling properties, although these are much more complex and varied than the simple 'north' and 'south' poles of a magnet. 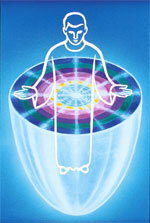 What does the human aura look like? Generally we don't see the aura. It doesn't exist on the physical plane of matter that we live in, but in the spiritual dimension often referred to as the etheric octave or the etheric realm. If we were blessed with such an ability, we would not actually be 'seeing' the aura, but more like sensing internally the auric emanations of a person and interpreting them through our vision. The seven colored rays of God's light are the 'pure' colors of the aura. Basically, if you are manifesting only the qualities of God in your thoughts, feelings and actions, the colors of your aura would be these seven (varying in proportion depending on your own strengths): blue, yellow, pink, white, green, purple (mixed with gold), and violet. These pure colors become muddied whenever there are un-God-like thoughts and feelings mingling in with the good ones. For example, jealously and resentment appear as a chartreuse green in the aura; selfish intellectualism as a muddied yellow; anger as crimson red. The ability to read the human aura does not, in any way, indicate advanced spiritual development. Having the ability without being a true adept is actually a burden because there is the temptation to see a person's faults rather than helping them to do better through focusing on their good qualities. There is also the frequent danger of an aura reading being done poorly, in a confused manner, or in a very limited depth (correct interpretation requires much more than the ability to 'see' the human aura). A word to the wise: use your understanding of the aura in your visualizations and prayers; it's best to keep your distance from psychic activity. Did you know that what you are thinking and feeling right now is being transmitted to other people - friends and strangers - through your aura? All the stuff that's going on inside you is having an impact on your external world, including individuals, groups, and the environment. "If the light that is in man that he transmits is undesirable, those who are easily made the victim of his thoughts and feelings or those who are naturally affinitized with him may reproduce the effects of those thoughts and feelings in their own worlds." (Emphasis added). To make sure you don't fall victim to other people's thoughts and fears, you can give prayers for protection daily or whenever you think of it. 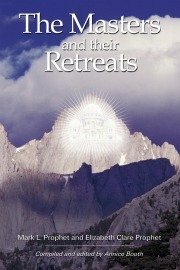 , published by Summit University Press.